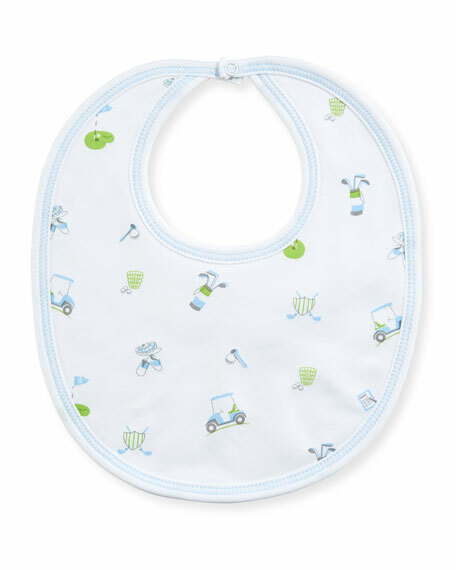 Kissy Kissy baby bib from the Daddy's Caddy collection. 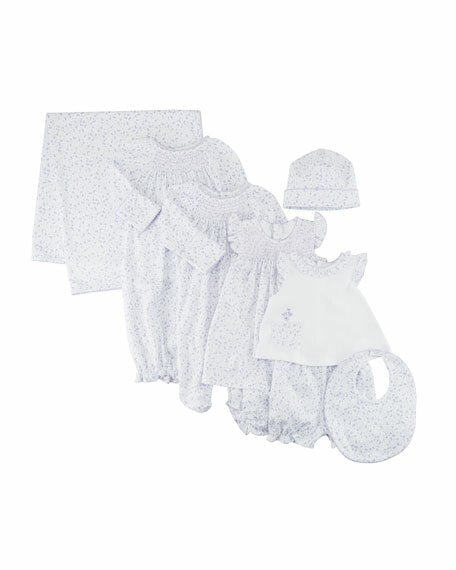 For in-store inquiries, use sku #2428307. 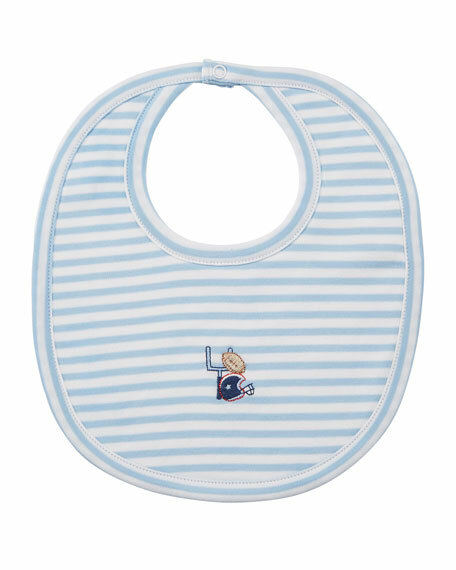 Kissy Kissy striped bib from the Fall Sports collection. Football embroidery at center. Snaps at back. Pima cotton. Made in Peru. 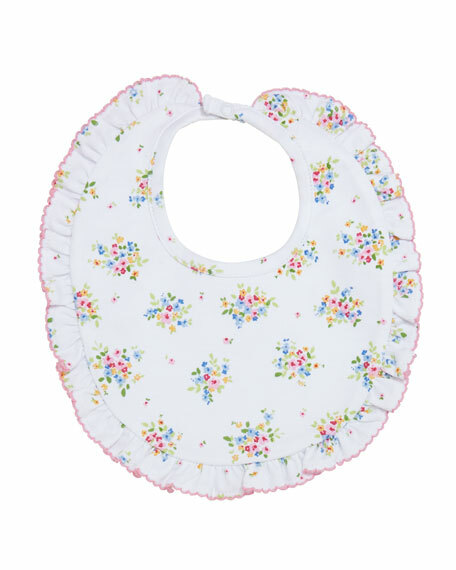 Kissy Kissy printed bib from the Mini Blooms collection. Picot trim around edge. Snaps at back. Pima cotton. Made in Peru. Kissy Kissy baby bib from the Noah's Ark collection. Contrast trim wraps edges. Snaps at back. Pima cotton. Made in Peru. Kissy Kissy printed bib from the Petite Pansies collection. Snaps at back. Ruffle edge. Pima cotton. Made in Peru.